SmartLipo in Thailand is also known as laser lipolysis. Smart Lipo is a fairly new procedure for rapid fat removal at the liposuction center of Thailand and utilizes the energy from a laser fiber to basically “melt” the fat away. SmartLipo is considered minimally invasive and uses tiny laser fibers that are inserted within the pockets of fatty tissue to be reduced or melted away. The energy that is generated from the laser beam helps promote the quick destruction of the fat cells without causing damage to the tissues around it. Smart Lipo in Thailand or laser liposuction in Thailand is especially effective in getting rid of hard to reach or delicate pockets of fat in areas such as below the chin,neck or arms. Some Other benefits of Smartlipo Cynosure is that it also helps tighten the skin by gently inducing new collagen formation and faster healing time due to the minimally invasive nature of Laser Liposuction. The makers of SMART Lipo also offer the minimally invasive cellulaze cellulite removal laser. 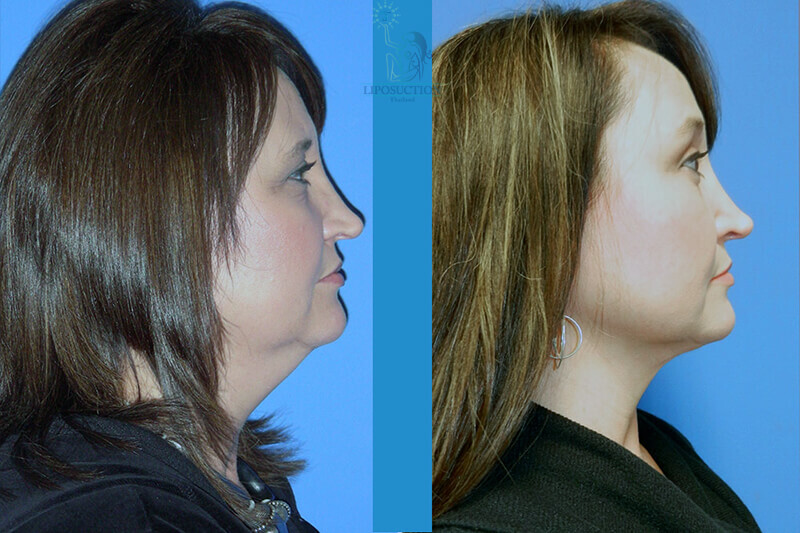 This type of cosmetic surgery is considered very safe and even has received the stamp of approval from the USA FDA. Smart Lipo is a newer treatment. Popular Areas for Smart Lipo in Thailand? Smart laser Lipo in Thailand is also often an ideal solution in cosmetic surgery for men and especially for treating male breast reduction Thailand, or gynecomastia in Bangkok. while in Thailand. Costs for smartlipo will be a little higher than traditional tumescent liposuction but after you factor in the reduced downtime and other cosmetic benefits of laser liposuction Thailand the costs are definitely well worth it. Smartlipo costs can vary depending on the locations and sizes of the areas you want treated and we offer discounts for multiple areas. Liposuction Center can provide you an exact cost once our doctors can review your pictures and basic medical information such as height, weight and allergies. Smart Liposuction is made for precision areas so larger areas like the Hips and/or thighs are usually more expensive due to the amount of extra work that is needed. Generally The smaller the area for treatment the lower the costs are. One of the many best benefits of having Smartlipo in Thailand is the reduced downtime with Smart Lipo and absolutely ZERO downtime with Zerona or Coolsculpting Liposuction. Smartlipo Lasers first melts the fat then removes it thru a vacuum suction similar to Bodytite or VASER so trauma/pain to the surrounding areas is greatly minimized. Why Have Liposuction in Thailand? Liposuction Center is a trusted organization that will help you every step of the journey.Our cosmetic tours collaborates with the best accredited hospitals in Thailand and the top cosmetic surgeons in Bangkok and Phuket. We offer assistance on other non-medical aspects of your medical tours at no extra cost to the patient. TMV maintains numerous affiliations with the top hospitals and clinics offering International protocols while maintaining affordability. Unfortunately, not all body types are candidates for the smart liposuction procedure. For more details please visit our treatment packages page or contact us today. After you contact us, one of our dedicated patient care coordinators will review the costs, risks,benefits, travel details, and other necessary information for your liposuction holiday. You will need to get all your medical history records so the doctor can review them to see if you will benefit from this treatment. This is without any charge. The actual SMART Lipo trip to Bangkok will only require a 5 to 10 night stay in Thailand. After that time you can get back to your normal life and also enjoy a very productive and enjoyable trip to Amazing Thailand.